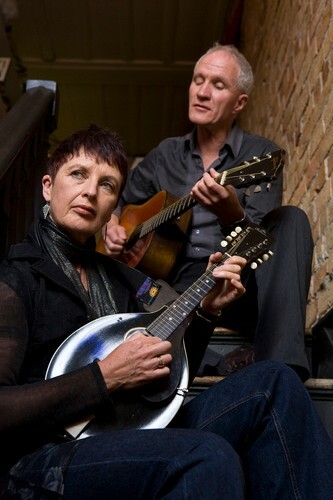 For 2 decades Mark Laurent and Brenda Liddiard have been playing music together, part of that secret army of ‘indie’ musicians who fly just below the commercial radar, playing grass-roots, mostly un-plugged music throughout New Zealand, Australia and the UK. For them, songs, poetry and humour are ways to talk about "life, the universe, and everything". They are also well-known in acoustic music circles as solo performers. Brendan ‘Mook’ Hanley, Byron Vista Social Club, Byron Bay, NSW. But he also writes insightful ‘slice of life’ songs, which can touch audiences deeply. "Mark and Brenda are artists who come from the heart. Their music speaks a universal language that seems to touch every audience they play to. The atmosphere they create is intimate, warm, playful and rich with meaning and a wise knowing of shared experience that bathes their audience with a sense of belonging." 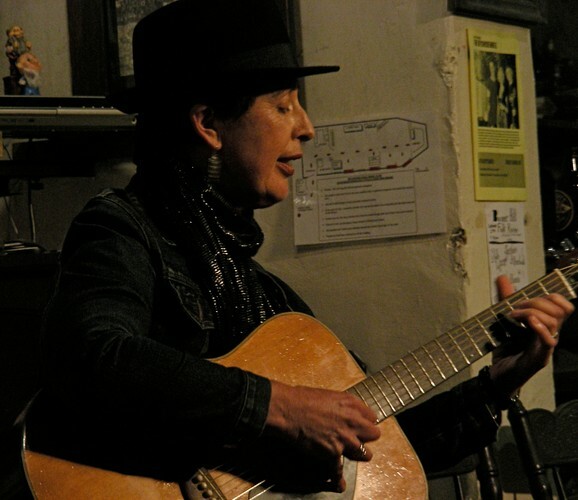 Brenda has been greatly influenced by English and American acoustic music, and found her niche as a songwriter during her passionate involvement with environmental and anti-nuclear activism in Australia, during the 70’s and 80’s. These days her songs look at everything from menopause and motherhood, to mental illness and memories. "When this duo appeared on the scene, everyone took notice. Mark's brilliance on guitar is matched by Brenda's instinctive mandolin accompaniments. Their songs are contemporary, self-penned, and echo issues which touch the lives of us all – and they are sung from the heart. No-one should miss this!" Together or separately Mark & Brenda have recorded or contributed to around 30 albums, written hundreds of songs and instrumentals (some of which have been covered by other artists or used in movie soundtracks), with a range of styles including blues, reggae, acoustic rock, ambient, folk ballads and alt. country. Instruments include guitars, mandolin, rowan lute and vocals, “…weaving a tapestry of sound and feeling that is both entertaining and moving”. Mark has published 2 collections of poetry, so their concerts are also peppered with poems and stories. "... two of New Zealand's finest and most prolific singer/songwriters. 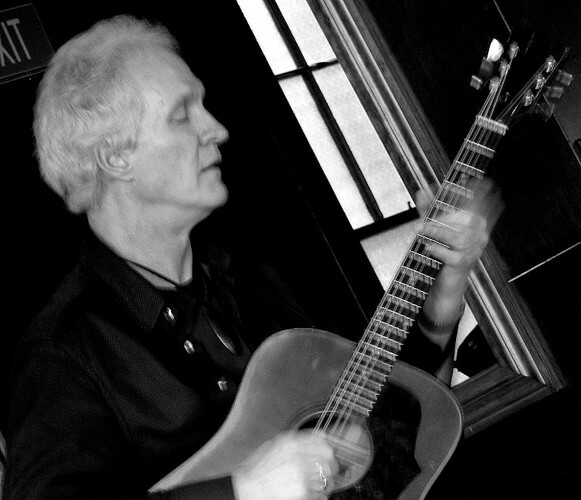 .. amazing guitar work .. punchy mandolin .. tongue in cheek humour, plenty of feeling".